To furnish the diverse requirements of our clients in the best possible manner we are involved in offering an extensive range ofCircular Form Tool. Convex and concave cutters are machine form relieved - the profile remains constant throughout cutter life, provided that on re-shapening, the face of the tooth is ground radial-to-centre. Owing to our vast experience, we are able to offer precision engineered Convex Cutters for milling convex half circles in different types of material, with utmost efficiency. The clients can avail the Convex Cutters from us in varied specifications at the market leading price from us. 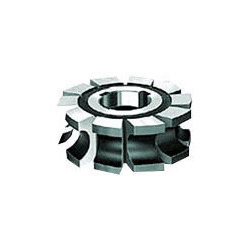 Our organization is widely engaged in providing a broad assortment of Convex Cutters to our patrons. Our offered ranges of cutters are used to cut any intricate shapes. Also, these cutters help the user to maintain correct cutting angles. In addition to this, we are also providing these products at very reasonable prices. We are able to offer high speed steel concave radius milling cutters. 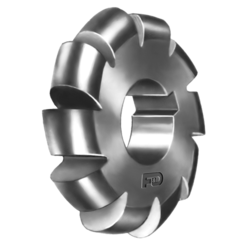 These cutters are form-relieved for milling concave half circles in all types of materials. The clients can avail concave cutters from us in varied specifications at the market leading price from us.